Last Saturday, I was invited to fill in for bassist Nick LaBate of Starnes And Shah at the Pleasantville Music Festival. Rain was predicted but it never came..we had a beautiful sunny day with a cool breeze. After a little confusion about the parking, we set up on the stage (great crew and sound company) and played a set. 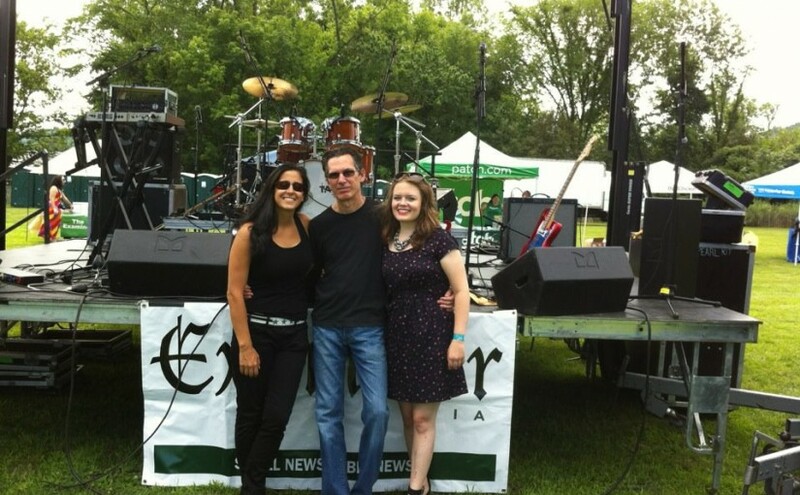 Dania and Zilpha took the front of the stage and drummer Scott Morehouse held down the rhythm section…it was a blast. After the set, we wandered around, checking out the acts on the 3 stages of the festival. From the singer/songwriter ZZ Ward (and amazing band) to blues guitarist Davy Knowles (another amazing rhythm section) to the Americana folk rock (hard to categorize them) Good Old War and the rockingDelta Spirit, the performances,songs and sound were uniformly excellent. It’s hard to imagine a better mix of styles for a festival. As the sun was setting, we piled into the car and were home in about 15 minutes..who knew it could ever be that easy..? Kudos to the event organizers and the vendors..lots to do..Zilpha was threatening to take a jump in the Bouncy Castle..all that was missing was a Slip N Slide…hope to do it again next year.